The Department of Art & Art History at the University of Mississippi is committed to developing a foundation for understanding art history and studio art methodologies through focus on hands-on, practical, and theoretical approaches. The department promotes a broad, yet thorough education in the arts in a Liberal Arts context, that through undergraduate and graduate programs yield highly qualified life-long learners with effective creative problem solving, critical thinking, visual and verbal and written communication skills. It also serves the educational needs of studio art and art history majors and a diverse clientele, while recognizing the value of the individual. It supports a highly qualified faculty and staff while providing an environment that encourages scholarly and creative development. New technology is integrated into an atmosphere that stresses effective technical skills, and creates a community of individuals who provide service to their discipline and the larger community through the application and dissemination of expertise and knowledge. Meek Hall was built in 1959-1960 and originally housed the Family and Consumer Sciences Department and then later the Music department. The building was named for Elma Meek. As a student, “Miss Meek” submitted the name “Ole Miss” for the yearbook, which is now a sincere name used for the university. In 2002, The Department of Art & Art History began the transitional move to Meek Hall from Old Chemistry and Bryant Hall. After an extensive restoration, Meek Hall now houses The Department of Art in it’s newly renovated facilities. Almost all of the Department’s facilities are located in Meek Hall in addition to Gallery 130, studios, offices, and lecture halls. The Department of Art & Art History at the University of Mississippi was established in 1948, one hundred years after the University first offered a session. The Department was the result of years of effort by then Chancellor J. D. Williams who was awarded a grant from the General Education Board, a branch of the Rockefeller Foundation, to study the feasibility of an art school in Mississippi. The result was that the first public art department in the state was located at “Ole Miss” because of the success of the liberal arts department. 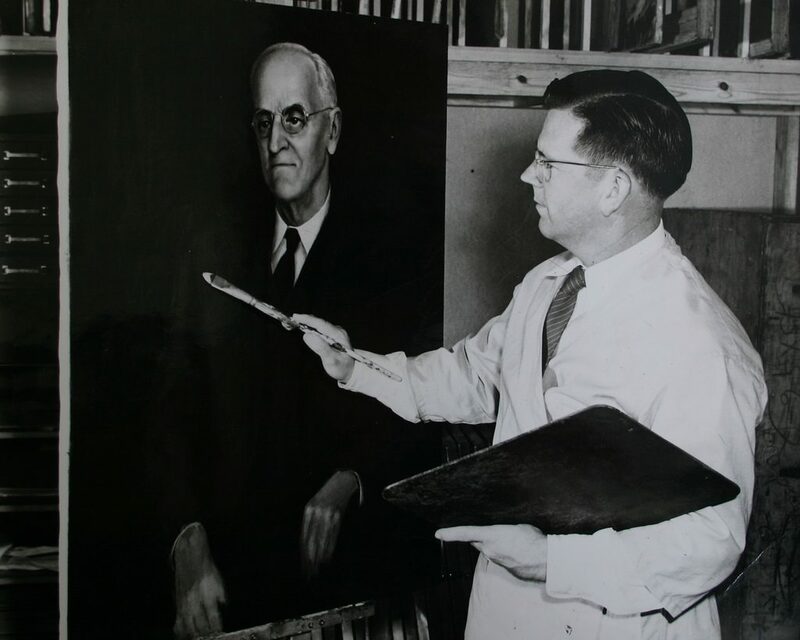 Under the first Chairman, Stuart R. Purser, the Department offered bachelor’s degrees in two disciplines, art education and studio arts. The degree offerings were expanded with the establishment of the Master of Fine Arts degree in 1952, and the Bachelor of Fine Arts degree in 1954. In 1981, the Board of Trustees of the Mississippi Institutions of Higher Learning assigned to the Department the mission role to develop art within the state and to become nationally competitive. In 1982, the Department received initial accreditation from the National Association of Schools of Art and Design (NASAD). Meek Hall is located behind Student Health Services and is right off of Student Union Drive.